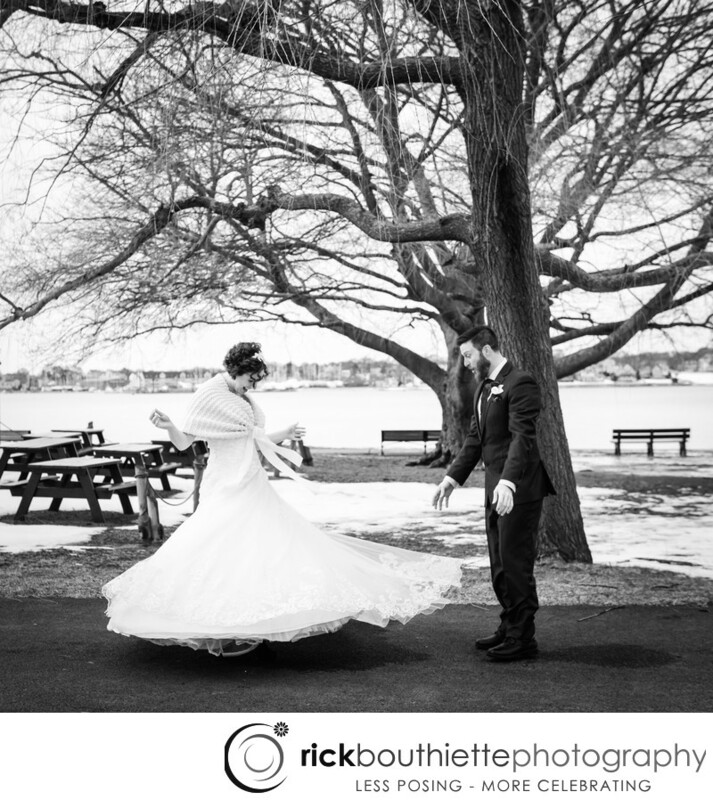 Chris and Jamie did their first look in Salem Willows Park prior to their wedding ceremony at the Salem Waterfront Hotel. They had so much fun doing this that there was no visible sign of nerves. Since they are a fun loving couple, their first look was at the top of our list... Filled with great expressions, love and authentic moments like this one where Jamie "took a spin" in her dress to show it off for Chris. His expression is priceless!